CENTIGON is pleased to announce we will be exhibiting this year at the 4th Europe’s leading Seminar for Special Forces SOFINS 2019 taking place from April 2 to 4th at the military base Camp de Souge, close to Bordeaux. 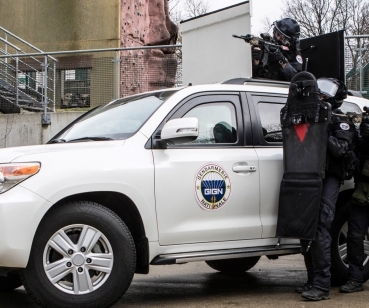 We would be more than happy to welcome you on our booth where we will showcase the Fortress Intervention, an armoured SUV operated by the French GIGN. 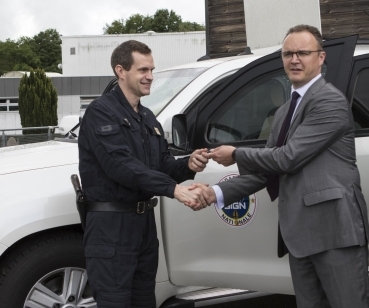 It is based on the Toyota Land Cruiser 200 and specifically designed for Police/Gendarmerie and Counter-Terror intervention teams. We will look forward to seeing you in April. CENTIGON is also pleased to announce we will be exhibiting at MILIPOL ASIA-PACIFIC 2019, the highly regarded International Exhibition and Conference covering all aspects of Homeland Security, Counter Terrorism, Public Safety, Internal State Security, Civil Defence and Law Enforcement in the Asia Pacific region. We look forward to welcoming you at our Stand (no. 1826, French pavilion) to bring you up to date on the latest in mobile security and ballistic protection.